Some of the tool icons that you see have a tiny little triangle on the lower-right corner. Click and hold these icons and you will see a menu pop out. 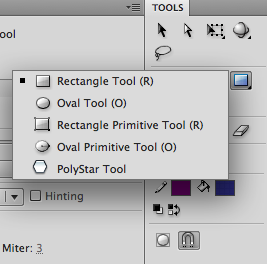 This menu contains other tools that you can use in place of the one that's currently visible on the toolbar. Simply click on the new tool that you want to use in order to switch to that tool.